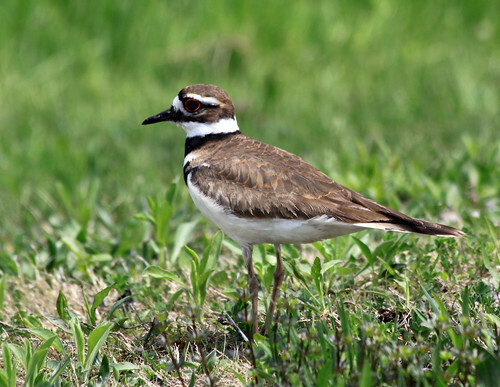 This common plover is more an upland species than most shorebirds. Its dramatic “broken-wing display” when potential predators (including people and dogs) approach eggs or young is worthless when large grazing mammals approach. In that situation, a bird can stand firm screeching to make cattle or a herd of bison turn tail.